In parallel to a web site creation (and a logo associated to a graphic chart), it is customary to derive this visual communication with a printed support (business cards, brochures, posters …). Our graphic designers and artistic director have the experience to create your communication not only on the web but for professional printing. 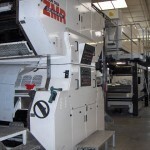 They master the daily communication: business cards, compliment slips, brochures, letterheads, etc. Of course, all kind of printing papers (weight, offset, etc) and all kind of printing options (varnish, folding, etc) are available. Printing time varies according to the job required. However, an urgent realisation and delivery are possible at an extra cost. Printing cost are reduced with a higher number of prints. We can print on all kind of support (paper, envelop, door hangers, textile, stamps …) for a really competitive price thanks to our printer partner, who delivers your printed supports to your door.